Unprecedented earthquakes, fires, hurricanes, flooding and other natural disasters filled the news over the past several months. 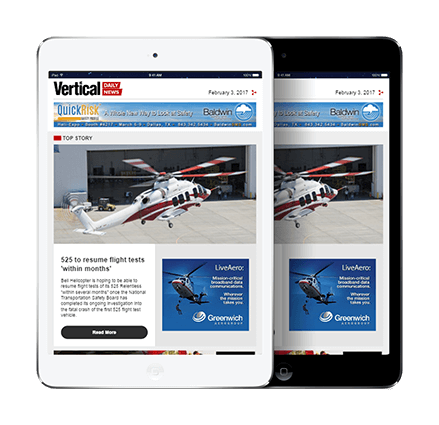 Equally prevalent were stories of vertical flight aircraft saving lives, protecting property and providing support after infrastructure was destroyed. This summer was the worst wildfire season in British Columbia in history, setting a record for the most acres burned — nearly 3 million acres (1.2 million hectares). A series of lightning strikes in the Cariboo region ignited more than 150 fires within a few hours in early July, triggering the evacuation of more than 10,000 people. By late July, firefighting helicopters in British Columbia peaked at 152 helicopters on contract: 18 light aircraft (such as Bell 206 JetRangers), 57 intermediates (like Airbus H125 AStars), 63 mediums (including Bell 205s and 212s) and 14 heavies (e.g. Bell 214Bs, Kaman K-MAXs, Kamov Ka-32s, Sikorsky S-61s and Erickson S-64E/F Aircranes). Missions included aerial observation, ground crew support and the hauling of water buckets to contain fires. Half a dozen Royal Canadian Air Force helicopters (two Boeing CH-147 Chinooks and four Bell CH-146 Griffons) were also on standby for mass evacuations and large crew moves. This massive response to an unprecedented number and scale of wildfires continued for months and succeeded in saving many lives, homes and towns. Chile, Portugal and California also reported historic fires and that wildfire seasons overall continue to get longer and more intense. California is home to a large wildfire fighting helicopter fleet operated by the California Department of Forestry and Fire Protection (CAL FIRE) with 12 UH-1H Super Hueys; the United States Forest Service; the U.S. Department of the Interior; and numerous other county, state and city firefighting agencies. Heavy rains in the first half of 2017 nurtured an explosive growth of vegetation in California, which became excess fuel during the long, hot and dry summer. Major wildfires north of San Francisco triggered the largest mobilization of firefighting air tankers and helicopters. By press time, the wildfires had burned more than 210,000 acres and destroyed an estimated 5,700 structures; the wildfires forced 90,000 people to evacuate their homes, and they resulted in at least 42 deaths. Critics complained that no helicopters capable of waterbombing at night were available the first night, letting the fire grow during a critical period. While these natural disasters were happening on the West Coast of North America, other types of disasters were occurring farther south. The strongest earthquake to hit Mexico in more than 200 years struck just before midnight on Sept. 7, 2017. The 8.1-magnitude quake struck in the Pacific Ocean, 74 miles off the coast of Chiapas, killing nearly 100 people and shaking more than 50 million. Six aftershocks measured at least 5.0 in magnitude. Mexico’s army, marines and federal police provided assistance — including helicopters — though the response was limited because the nation was also dealing with Category 2 Hurricane Katia, which made landfall that morning on the Atlantic Coast. A few days later, on Sept. 19, a 7.1-magnitude earthquake struck central Mexico, followed by 39 aftershocks over the next four days with magnitudes of 1.0 or greater. The quakes killed 370 people and injured more than 6,000, primarily in Mexico City. ABC News reported the next day that “After the shaking subsided, first responders swooped in to help the injured, and a fleet of military and police helicopters buzzed overhead” amid collapsed buildings and cries for help. Three extremely destructive Atlantic hurricanes — causing damages well in excess $50 billion each, and totaling perhaps as much as $250 billion — slammed the Caribbean and southern U.S. late this summer and early fall. Making landfall on Aug. 25, as a Category 4 hurricane, Harvey pounded southeastern Texas and southern Louisiana for four days. With a peak accumulation of 64.58 inches, Harvey was the wettest tropical cyclone to ever hit the U.S. Flooding damaged hundreds of thousands of homes and displaced more than 30,000 people. Meanwhile, Category 5 Hurricane Irma was the second strongest hurricane ever observed in the Atlantic, with record-tying 185 mile-per-hour sustained winds. It developed on Aug. 30 and caused widespread and catastrophic damage over the next two weeks, particularly in the Caribbean and Florida. 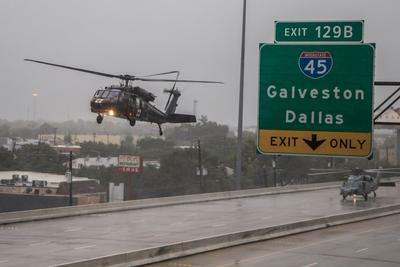 Helicopters performed many critical life-saving missions after these storms made landfall in Texas, Louisiana and Florida. Most oil-and-gas rigs in the Gulf of Mexico were evacuated by helicopter in advance of Hurricane Harvey and after the storm struck. Helicopters operated by the U.S. Coast Guard, military, government agencies and civil operators were deployed to save lives, keep the peace and help restore critical infrastructure. In Irma’s wake, Hurricane Maria, also a Category 5 storm, caused horrific destruction in the Caribbean for more than two weeks. With maximum sustained winds of 175 miles per hour, it was the 10th most intense Atlantic hurricane on record. Maria was considered the worst natural disaster on record in Dominica, which it passed over on Sept. 18. Two days later, it caused catastrophic damage and a major humanitarian crisis in Puerto Rico, effectively destroying the island’s power grid. By Oct. 6, two weeks after the hurricane, 89 percent of Puerto Ricans still had no power and 44 percent had no potable water service. Helicopters based in Puerto Rico and the Caribbean islands were mobilized in the wake of the back-to-back hurricanes, supplemented by military helicopters sent by the U.S., Britain, France and the Netherlands. Civil helicopters contracted by the U.S. Federal Emergency Management Agency were sent to U.S. territories in the Caribbean. The U.S. Marines also sent V-22 Ospreys to Puerto Rico, taking advantage of the tiltrotors’ high-speed wing-borne flight to deploy them rapidly over vast distances. Osprey crews aided residents by delivering much-needed humanitarian assistance, supporting damage assessments and providing vital support to infrastructure repair and stabilization efforts. Even more people were affected during widespread monsoon flooding in South Asia this summer, impacting some 50 million people and leaving millions in Bangladesh, India, Nepal and Pakistan homeless. More than 1,200 people died, but thousands more were rescued by vertical flight, or saved by helicopters that distributed food, water, medicine and emergency supplies. Hurricanes in 2017 set new records for destructiveness, while British Columbian leaders said the increasingly brutal fires had become the “new normal.” Whether you believe climate change played some part in this or not, natural disasters affected tens of millions of people in the Western Hemisphere, and continue with heavy impacts in Asia and elsewhere. 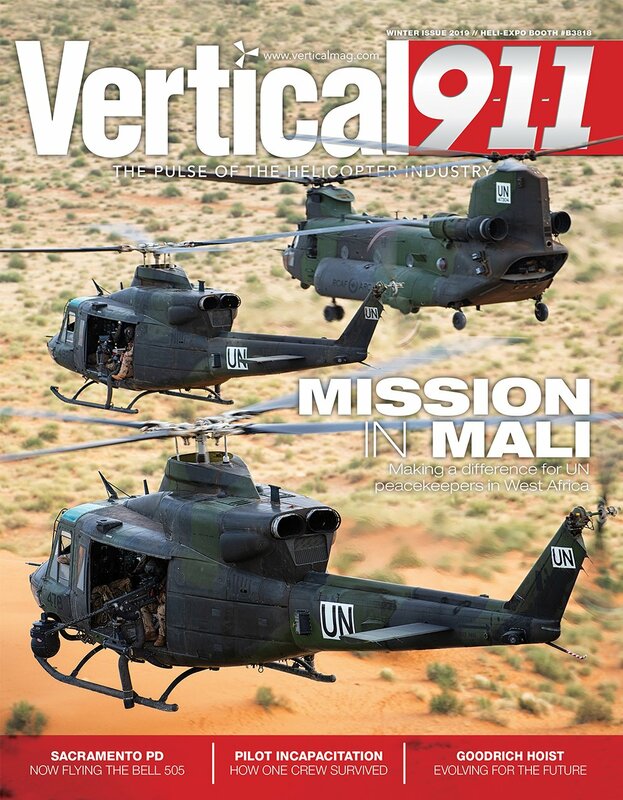 However, in every case, vertical flight aircraft have rescued stranded civilians, delivered life-saving medical services to the injured and provided essential disaster relief. The internet is full of dramatic videos, incredible photos and heartwarming stories of the victory of vertical flight over the devastating impacts of nature’s fury. In addition to the ubiquitous helicopter, the Osprey tiltrotor continues to be a lifesaver in cases where no nearby services are available or where speed is essential. Unmanned aircraft systems (UAS) also received a lot of attention in supporting relief operations — particularly after Hurricane Harvey — providing search and reconnaissance capabilities and locating stranded citizens. Although vertical takeoff and landing (VTOL) drones unable to cruise in wingborne flight were limited by short ranges and low endurance, their sheer numbers and low costs provided useful services to rescuers and relief teams. With burgeoning developments in electric and hybrid-electric VTOL aircraft, one can interpolate between today’s rotorcraft and small drones — envisioning a possible future of ubiquitous eVTOL aircraft and speculating what disaster relief operations might look like a decade or two in the future. 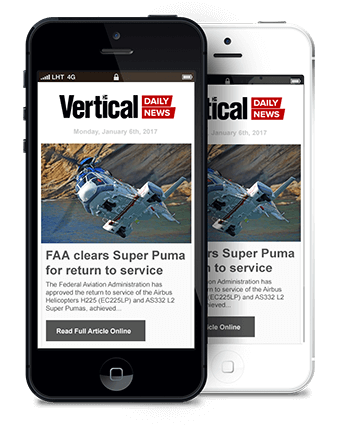 Perhaps hundreds or even thousands of eVTOL aircraft — either piloted or autonomous — might blanket wide areas to provide search-and-rescue services; deliver food, water and medical supplies; and assist government agencies with emergency management services. 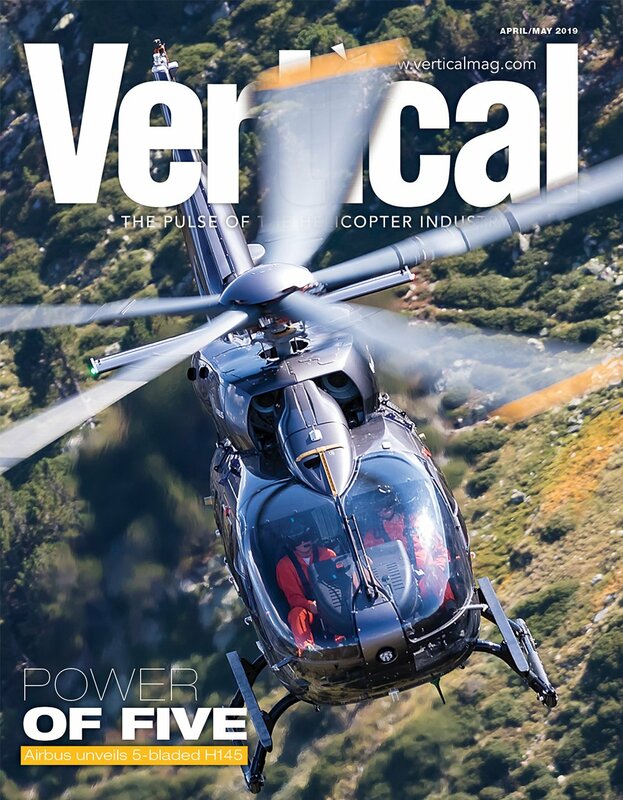 If the development of very low-cost, high-volume, robust and reliable eVTOL aircraft reaches its envisioned potential, the ability for vertical flight to save lives might be exponentially greater in the future.